Dr. Cho is a Professional Engineer (PE) licensed in Maryland, Member of the American Society of Civil Engineers (M.ASCE), Certified Floodplain Manager (CFM), and Certified GIS Professional (GISP). He is an avid Open Source advocate and enjoys scientific programming to solve computational problems. He has been part of the Geographic Resources Analysis Support System (GRASS) GIS development team since 2000 and has special interests in developing and contributing geospatial modules to the Open Source community. Visit his personal website and GitHub repositories. Find me also on LinkedIn and ResearchGate. Dr. Cho’s research focuses on hydrologic modeling and the application of geographic information systems (GIS) to water resources engineering. These research interests encompass a broad range of topics in computational hydrology including statistical methods of predicting extreme hydrologic events such as floods and droughts, model optimization, uncertainty estimation in the model parameters and outputs, leveraging vast geospatial information available online for hydrologic simulation and forecasting, etc. The longest flow path plays an important role in hydrologic modeling, but its computation requires multi-step raster calculations for each watershed. This research project aims to improve the current process and efficiency of computing the longest flow path for a lot of watersheds. In this heuristic algorithm, particles in an artificial swarm explore and exploit the search space, and find global and local optima. This algorithm was used to find the number of these optima on the surface of the highly multi-modal Griewank function (work cited in Wolfram MathWorld). Huidae Cho, Jeongha Park, Dongkyun Kim, March 2019. Evaluation of Four GLUE Likelihood Measures and Behavior of Large Parameter Samples in ISPSO-GLUE for TOPMODEL. Water 11 (3), 447. doi:10.3390/w11030447. SCIE. Huidae Cho, Tien M. Yee, Joonghyeok Heo, October 2018. Automated Floodway Determination Using Particle Swarm Optimization. Water 10 (10), 1420. doi:10.3390/w10101420. SCIE. Jaehyeon Lee, Huidae Cho, Minha Choi, Dongkyun Kim, December 2017. Development of a Land Surface Model for the Soyang River Basin. Journal of the Korean Water Resources Association 50 (12), 837-847. doi:10.3741/JKWRA.2017.50.12.837. 소양강댐 유역에 대한 지표수문모형의 구축. KCI. Dongkyun Kim, Huidae Cho, Christian Onof, Minha Choi, May 2017. Let-It-Rain: A Web Application for Stochastic Point Rainfall Generation at Ungaged Basins and Its Applicability in Runoff and Flood Modeling. Stochastic Environmental Research and Risk Assessment 31 (4), 1023-1043. doi:10.1007/s00477-016-1234-6. SCI. Huidae Cho, Emma Bones, August 2016. Quantification of Uncertainties in the 100-year Flow at an Ungaged Site Near a Gaged Station and Its Application in Georgia. Journal of Hydrology 539, 640-647. doi:10.1016/j.jhydrol.2016.05.070. SCI, Author’s Version. Joonghyeok Heo, Jaehyung Yu, John R. Giardino, Huidae Cho, August 2015. Response of Water Resources to Climate and Land-cover Changes in a Semi-arid Watershed, New Mexico, USA. Terrestrial, Atmospheric and Oceanic Sciences 26 (4), 463-474. doi:10.3319/TAO.2015.03.24.01(Hy). SCI. Joonghyeok Heo, Jaehyung Yu, John R. Giardino, Huidae Cho, March 2015. Impacts of Climate and Land-Cover Changes on Water Resources in a Humid Subtropical Watershed: A Case Study from East Texas, USA. Water and Environment Journal 29 (1), 51-60. doi:10.1111/wej.12096. SCI. Huidae Cho, Dongkyun Kim, Kanghee Lee, March 2014. Efficient Uncertainty Analysis of TOPMODEL Using Particle Swarm Optimization. Journal of the Korean Water Resources Association 47 (3), 285-295. doi:10.3741/JKWRA.2014.47.3.285. 입자군집최적화 알고리듬을 이용한 효율적인 TOPMODEL의 불확실도 분석. KCI. Huidae Cho, Francisco Olivera, March 2014. Application of Multimodal Optimization for Uncertainty Estimation of Computationally Expensive Hydrologic Models. Journal of Water Resources Planning and Management 140 (3), 313-321. doi:10.1061/(ASCE)WR.1943-5452.0000330. SCI. Huidae Cho, Dongkyun Kim, Kanghee Lee, Jinsu Lee, Dongryul Lee, October 2013. Development and Application of a Storm Identification Algorithm that Conceptualizes Storms by Elliptical Shape. Journal of the Korean Society of Hazard Mitigation 13 (5), 325-335. doi:10.9798/KOSHAM.2013.13.5.325. 타원체로 모형화된 폭풍우 판별 알고리듬의 개발 및 적용. KCI. Dongkyun Kim, Francisco Olivera, Huidae Cho, Seung Oh Lee, October 2013. Effect of the Inter-Annual Variability of Rainfall Statistics on Stochastically Generated Rainfall Time Series: Part 2. Impact on Watershed Response Variables. Stochastic Environmental Research and Risk Assessment 27 (7), 1611-1619. doi:10.1007/s00477-013-0697-y. SCI. Dongkyun Kim, Francisco Olivera, Huidae Cho, October 2013. Effect of the Inter-Annual Variability of Rainfall Statistics on Stochastically Generated Rainfall Time Series: Part 1. Impact on Peak and Extreme Rainfall Values. Stochastic Environmental Research and Risk Assessment 27 (7), 1601-1610. doi:10.1007/s00477-013-0696-z. SCI. Dongkyun Kim, Francisco Olivera, Huidae Cho, Scott A. Socolofsky, June 2013. Regionalization of the Modified Bartlett-Lewis Rectangular Pulse Stochastic Rainfall Model. Terrestrial, Atmospheric and Oceanic Sciences 24 (3), 421-436. doi:10.3319/TAO.2012.11.12.01(Hy). SCI. Huidae Cho, Dongkyun Kim, Francisco Olivera, Seth D. Guikema, August 2011. Enhanced Speciation in Particle Swarm Optimization for Multi-Modal Problems. European Journal of Operational Research 213 (1), 15-23. doi:10.1016/j.ejor.2011.02.026. SCIE, Author’s Version, R Script. Huidae Cho, Francisco Olivera, June 2009. Effect of the Spatial Variability of Land Use, Soil Type, and Precipitation on Streamflows in Small Watersheds. Journal of the American Water Resources Association 45 (3), 673-686. doi:10.1111/j.1752-1688.2009.00315.x. SCI. Huidae Cho, Francisco Olivera, Seth D. Guikema, October 2008. A Derivation of the Number of Minima of the Griewank Function. Applied Mathematics and Computation 204 (2), 694-701. doi:10.1016/j.amc.2008.07.009. SCIE, Author’s Version, Cited in Griewank Function in MathWorld. Francisco Olivera, Milver Valenzuela, Raghavan Srinivasan, Janghwoan Choi, Huidae Cho, Srikanth Koka, Ashish Agrawal, April 2006. ArcGIS-SWAT: A Geodata Model and GIS Interface for SWAT. Journal of the American Water Resources Association 42 (2), 295-309. doi:10.1111/j.1752-1688.2006.tb03839.x, Erratum doi:10.1111/j.1752-1688.2006.tb04496.x. SCI. Huidae Cho, April 2019. 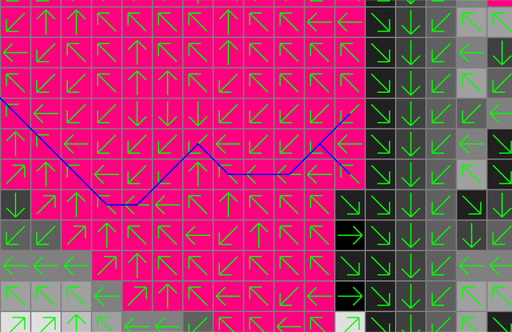 Revisiting the Longest Flow Path Algorithm. 2019 Georgia Water Resources Conference. University of Georgia. Athens, GA.
Huidae Cho, Dongkyun Kim, Christian Onof, Minha Choi, October 2018. Let-It-Rain: A Web-based Stochastic Rainfall Generator. 2018 Georgia Geospatial Conference. Georgia Urban and Regional Information Systems Association. Classic Center, Athens, GA.
Marcus Flores, Huidae Cho, May 2018. Bridging the Gap Between Esri and CRM. 2018 Esri Southeast User Conference. Esri. Charlotte Convention Center, Charlotte, NC. Tien Yee, Huidae Cho, May 2017. Towards an Automated Floodway Optimizer for HEC-RAS. World Environmental & Water Resources Congress 2017. Environmental & Water Resources Institute, American Society of Civil Engineers. Sacramento, CA. Jaehyeon Lee, Huidae Cho, Dongkyun Kim, April 2017. Assessment of the Applicability of the Satellite-In-Situ Composite Soil Moisture Data Assimilation Using Ensemble Kalman Filter. European Geosciences Union General Assembly 2017. European Geosciences Union. Vienna, Austria. Huidae Cho, April 2017. Web-based Hydrologic Modeling System for Texas. Proceedings of 2017 Georgia Water Resources Conference. University of Georgia. Athens, GA.
Tien Yee, Huidae Cho, April 2017. Floodway Optimization Algorithm for Streams in Georgia. Proceedings of 2017 Georgia Water Resources Conference. University of Georgia. Athens, GA.
Jaehyeon Lee, Huidae Cho, Dongkyun Kim, August 2016. Applicability of AMSR2 Soil Moisture Data in a Real-Time Land Surface Model. HIC 2016, 12th International Conference on Hydroinformatics--Smart Water for the Future. Society of Smart Water Grid. Songdo ConvensiA, Incheon, Korea. Dongkyun Kim, Huidae Cho, Jaemoon Han, May 2014. Development and Validation of a Web-based Poisson Cluster Synthetic Rainfall Generator. Korean Water Resources Association Conference 2014. Korean Water Resources Association. Busan, Korea. Huidae Cho, Dongkyun Kim, March 2014. Spatiotemporal Storm Tracking for Hydrologic Modeling Using Particle Swarm Optimization. Southeastern Regional Conference 2014--Future Preparedness: Smart Technologies and Science. Korean-American Scientists and Engineers Association. Atlanta, GA.
Huidae Cho, Janghwoan Choi, James Demby, Sam Crampton, Sivasankkar Selvanathan, March 2013. Development of FEMA’s GeoDam-BREACH Toolset for Simplified Dam Break Analysis. Virginia Water Conference 2013. Virginia Lakes and Watersheds Association. Richmond, VA.
Diwakar Sharma, Janghwoan Choi, Jay Sadhu, Sivasankkar Selvanathan, Huidae Cho, Ken Logsdon, October 2010. Improved Visualization of Contours/Bands as Symbology Using ESRI Terrain for Flood Mapping and Engineering Analysis. 6th Annual MAFSM Conference--New Maps, New Regs- Reducing Flood and Stormwater Impacts in Maryland. Maryland Association of Floodplain and Stormwater Managers. Linthicum, MD. Jay Sadhu, Janghwoan Choi, Diwakar Sharma, Sivasankkar Selvanathan, Huidae Cho, Ken Logsdon, October 2010. Overcoming Depth Grid Creation Challenges Through the Use of Depth TIN/Terrain. 6th Annual MAFSM Conference--New Maps, New Regs- Reducing Flood and Stormwater Impacts in Maryland. Maryland Association of Floodplain and Stormwater Managers. Linthicum, MD. Janghwoan Choi, Sivasankkar Selvanathan, Jay Sadhu, Diwakar Sharma, Huidae Cho, October 2010. Automated Peakflow Computations Using NSS and ArcGIS. 6th NJAFM Annual Conference--Proactive Floodplain Management: Reducing Vulnerability and Leveraging Resources. New Jersey Association for Floodplain Management. Somerset, NJ. Ken Logsdon, Janghwoan Choi, Huidae Cho, May 2010. Layered Flood Theme and an Integrated QC Module. ASFPM 34th Annual National Conference--Building Blocks of Floodplain Management. Association of State Floodplain Managers. Oklahoma City, OK.
Huidae Cho, Tamrat Bedane, Mathini Sreetharan, Jean Huang, October 2009. Floodplain Development for Flood Insurance Studies Using GeoTerrain. 5th NJAFM Annual Conference: Effective Floodplain Management--Solutions Using Limited Resources. New Jersey Association for Floodplain Management. Somerset, NJ. Francisco Olivera, Huidae Cho, July 2007. Importance of Spatial Distribution in Small Watersheds. 4th International Soil and Water Assessment Tool (SWAT) Conference. UNESCO-IHE. Delft, The Netherlands. Francisco Olivera, Huidae Cho, July 2005. Two-Step Calibration Method for SWAT. 3rd International Soil and Water Assessment Tool (SWAT) Conference. Swiss Federal Institute for Environmental Science and Technology. Zurich, Switzerland. Francisco Olivera, Huidae Cho, April 2005. The Two-Step Calibration Method of Distributed Models. VII IAHS Scientific Assembly. International Association of Hydrologic Sciences (IAHS). Foz do Iguacu, Brazil. Jonghae Kim, Kunyeun Han, Huidae Cho, Hyunsang Choi, November 2001. GIS-Based Hydrological Modeling by Using GRASS. Proceedings of Korean Society of Civil Engineers, 1-4. Huidae Cho, January 2019. Book Review of “GIS for Surface Water: Using the National Hydrography Dataset” by Jeff Simley. Photogrammetric Engineering & Remote Sensing 85 (1), 11-12. doi:10.14358/PERS.85.1.11. SCI. Kunyeun Han, Sangho Kim, Inho Son, Changhyun Baek, Kyuhyun Choi, Huidae Cho, February 1999. Riverine & Lacustrine Water Quality Prediction Models (QUAL2E, WASP, etc.). 7th Water Resources Engineering Workshop Manual. The Korean Water Resources Association. Hydrologic Modeling Using Open Source GIS. November 13, 2018. GIS Day, Geospatial Alliance Club, University of North Georgia. Oakwood, GA.
Web-based Hydrologic Modeling System for Texas. November 24, 2017. Hongik University, Seoul, Korea. Flood Insurance Study. November 24, 2017. Hongik University, Seoul, Korea. Development of an Automated Toolset for Simplified Dam Break Analysis. November 24, 2017. Hongik University, Seoul, Korea. Floodway Optimization Algorithm for Streams in Georgia. November 23, 2017. Kyungpook National University, Daegu, Korea. Automation of Floodway Models for HEC-RAS. November 11, 2016. PDH Day, Georgia Society of Professional Engineers. Georgia Tech Student Center, Atlanta, GA.
Let-It-Rain: A Web-based Stochastic Rainfall Generator. April 20, 2016. Dewberry, Atlanta, GA.
Effect of Spatial Variability on a Distributed Hydrologic Model. May 6, 2015. Kyungpook National University. Impacts of Climate Change and Land-Cover Changes on Water Resources: Methodology Review. May 6, 2015. Korea Institute of Civil Engineering and Building Technology. Improved Search for Local Optima in Particle Swarm Optimization. May 6, 2015. Hongik University. 오픈소스 소프트웨어를 이용한 수문모델링 (Hydrologic Modeling Using Open Source Software). April 30, 2015. Korea Water Resources Corporation.